People with disabilities often live in severe poverty due to the challenge of securing a steady income to support themselves and their families. This can make the cost of vital healthcare and equipment impossible to fund. They also often face discrimination from their communities and wider society. Disabled people are often disadvantaged when it comes to seeking training or a job. 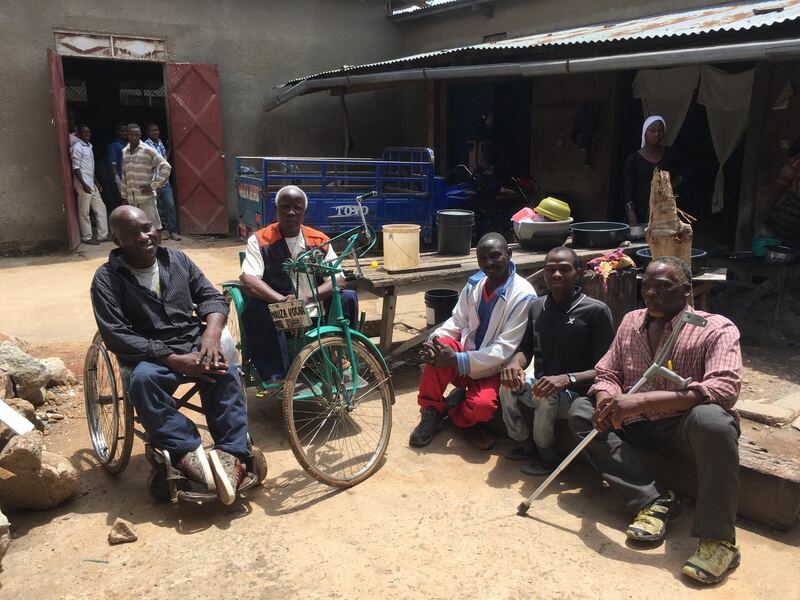 The exclusion of people with disabilities from the workplace, either through discrimination or inaccessible work environments, costs Tanzania $480m every year – 3.76% of the country’s GDP1. In low to middle income countries, only 5 – 15% of people who need ‘assisted devices and technologies’ have access to them which also makes it extremely difficult to get training and find work. Disabled children are much less likely to be educated – even at the most basic level. The World Health Organisation estimate that in the 51 poorest countries only 51% of disabled boys and 42% of disabled girls complete Primary education. It goes without saying that if you don’t go to school, your chance to doing well in life are significantly reduced. Not to mention the lack of social interaction and emotional development young people find in making friends. Disabled people are more likely to have health issues and people with health issues are more likely to be disabled. It may be they can’t pay for health care, or issues cannot be dealt with locally and transport is an issue. It may be that relatives don’t know how to, or can’t support the disabled person. On top of poor health, disabled people are less likely to have access to clearn water and sanitation – making staying healthy even harder. Unfortunately it’s common for disabled people to be ignored by their families or communities. In fact, often they are unfairly targeted because of their disability. Members of this group are among the most vulnerable in Tanzanian society, often being undereducated, untrained, unemployed or underemployed and poor – especially women, youth and those living in rural areas. For example, the literacy rate among Tanzanians with a disability is 52%, compared with 75% among people without disabilities. In many ways life could not be much harder. Donate, sponsor a bike, or share your ideas for spreading the word. Anything you can give will help.